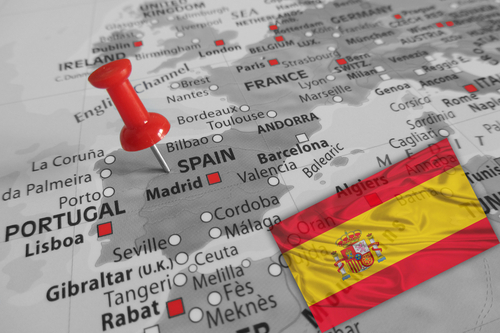 Spain internship students intern an average of 30 hours/week while simultaneously studying the Spanish language and culture in a course appropriate to their language level (typically SPAN 1020, 2010, 2020, 3510, 3520, or 3850). Internship placements match students based on professional interests and linguistic skills, ranging from English-only internships to complete Spanish immersion experiences. Language and culture study ensure students take full advantage of professional and personal relationships developed during the course of their program abroad. Internship placement and an excellent system of public transportation ensures students easy travel between BGSU arranged home-stays, academic classes, and professional internships. The program is located in the city of Alcalá de Henares and Madrid Spain. All language levels are welcome. Aside from the one Spanish language course students internship placements will speak English. *If students would like specific credit for their internship they will need permission from their department. Please consult with the Education Abroad office for more information. Students will have two housing options on this internship program*. For an immersive language and culture experience students can elect to be housed with carefully selected families in Alcalá de Henares. While enjoying personal freedom, students are able to discover a new culture by joining the customs and meal hours of the host family. *Price will differ based on option chosen. Please refer to program costs section for details. Since this is a BGSU program students will be billed for all program costs through their bursar's account. Students are eligible to use all scholarships and financial aid. Students will pay the full tuition and program fees (room and board) for both the SPAN classes and the internship credits in addition to an internship fee. A $600 non-refundable deposit will be due by the application deadline. The remaining fee balance will be billed directly through your bursars account. If you withdraw from the program you are still responsible to pay the remaining internship fee.